Representatives of EKT, joint organiser of the event, discussed EIT Health programmes and competitions for start-ups and Enterprise Europe Network-Hellas initiatives. An interesting conference focusing on innovative companies in the health sector was held at the National Research Foundation, Friday 11 January 2019, as part of the 9th National Bank's NBG Business Seeds Innovation & Technology programme in co-operation with the EIT Health Hub and co-ordinated by the National Documentation Centre (EKT). 20 groups at varying levels of maturity, from the earliest stage to seed funding level, were invited to take part in this year's competition. Also participating were researchers from the National Hellenic Research Foundation, Metavallon's representative George Karantonis, Big Pi spokesperson Evi Hatziandreou, e-Trikala's George Dafoulas, George Kourkotas from startupper.gr and Nikos Papadopoulos, Director and head of start-ups Aggelopoulou Branch of the National Bank of Greece. The event was moderated by Spyros Arsenis and his team from NBG Business Seeds, along with EKT's George Megas co-ordinator for EIT Health Hub in Greece, with the journalist Kostas Tsaousis making the introductions. The conference was opened by Tasos Manos, CEO of PD Neurotechnology a participant in the NBG Business Seeds programme, who presented the successes and the obstacles encountered during development, manufacture and marketing of systems and devices which combine sensors and intelligent algorithms to support patients with kinetic disorders. George Megas, Christina Pascual and Nikos Maniadaki by EKT discussed EIT Health programmes and competitions for start-ups and initiatives of Enterprise Europe Network-Hellas, which is co-ordinated by EKT and is the Greek node of the largest network providing businesses with integrated services to enhance competitiveness through knowledge and innovation. Once again, the dialogue was constructive with the participating groups getting updates on EKT and EIT Health programmes and services. They were also able to talk with representatives of Funds and the Trikkaion Municipality, which has great experience in the area of health. 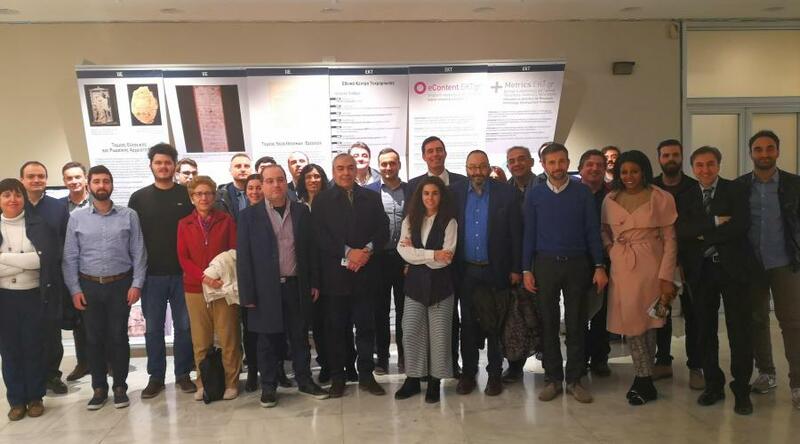 The Conference highlighted, amongst other things, the need for researchers to investigate the business aspect of their research, something that Dr. George Skretas from the National Hellenic Research Foundation and his team are already doing successfully. Dr. Skretas was selected by the European Research Council (ERC) to receive a Consolidator Grant while the spin-off company he created is engaged in the commercialisation of pharmaceutical molecules for rare and incurable diseases. The NBG Business Seeds programme is a National Bank of Greece initiative supporting innovative and outward-orientated entrepreneurship. It includes promotional actions highlighting concepts and projects, training and mentoring groups, infrastructures, networks and funding. EIT Health KIC (Knowledge and Innovation Community) European Institute of Innovation and Technology, aims to highlight and strengthen the innovative enterprises, whether start-ups or spin-offs, of research groups in the health sector. The National Documentation Centre is the designated Greek Hub.